USC stays in the #1 position this week after a 4-0 start to the year while Hawaii moves up to #2 after a 3-1 weekend at the Rainbow Wahine Classic. UCLA remains the same at #3 along with Florida State at #4 while Pepperdine falls back to #5 after a 2-1 weekend. Hawaii started the season with a strong first weekend that saw they take down UCLA in a 5-0 decision but fell to them on the second day 3-2 for their only loss on the weekend. 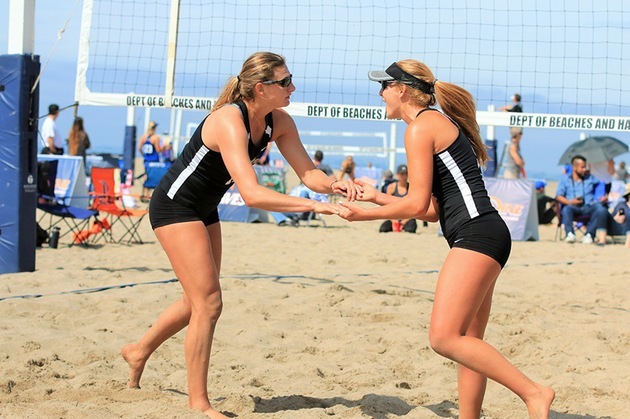 Ka’iwi Schucht/Emily Maglio were the only pairing for the weekend to post a perfect record of 4-0 at the tournament. Cal Poly made the largest jump of the week moving up to #8 from #14 last week. The Mustangs have posted a 4-2 record to begin the year, winning over a number of top-ranked teams including then-#2 Pepperdine 3-2. They also found themselves on the winning side of then-#10 Grand Canyon, Arizona State and Nebraska. Not many teams rankings changed in the back half of the rankings, though Grand Canyon fell out of the top-10 while Stanford moved up to #16 despite not winning a match over the week.